The editorial policies of NanoWorld Journal (NWJ) are designed according to the aspects, advices and recommendations of Committee of Publication Ethics (COPE). Submission of a manuscript to NWJ implies that all authors have read and agreed to its content and that the manuscript conforms to the journal’s policies. Authors submission of manuscript containing indication of the preferred section are ranked (whenever possible) by the Managing Editor (ME) in terms of total H index, patent index, prototypes and total Impact Factor normalized by average number of coauthors and author position, and in terms of adherence to the NWJ’s editorial policy for the submitted papers. 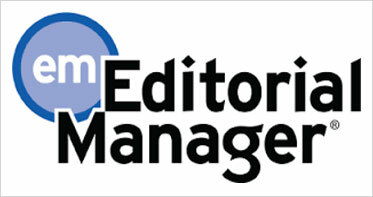 Editor-in-Chief (EIC): Verifies author ranking, suggested section and relevance of the article title and assigns article for review to the appropriate editorial board member or to the ME which chooses peer-reviewers among the list of authorities in the selected fields already assembled by EIC and constantly updated by ME upon Editorial Board indication. Editorials written by the editor-in-chief or by editorial board members do not undergo external peer review and need only approval of Editor-in-Chief. However, original research articles/reviews authored by an editorial board member or by an advisory board member will go through the usual peer review process of the NWJ. Plagiarism is a growing problem in scientific publishing, and open access is no exception. The journal editors take effective measures to prevent, detect, and address any plagiarism in the published articles. NWJ has adopted strict COPE guidelines to detect plagiarism and any such cases with significant plagiarism will be handled according to the guidelines and the editor has full right to communicate this to the author’s institution. United Scientific Group (USG) is a member of CrossCheck and we use the iThenticate plagiarism detection system to screen submitted articles for originality. Authors should keep in mind that manuscripts that have been detected to have plagiarized content during the pre-screen or peer review processes will be immediately rejected. If the same is detected post publication, NWJ reserves the right to retract the article or publish a correction. NWJ reserve the right to inform authors’ institutions about plagiarism detected either before or after publication. NWJ follows the policies of ICMJE with regard to duplicate publications. During the initial submission of a manuscript, the author must declare and cite any potential overlapping publication and can upload as additional supporting documents. Any unpublished or “in press” manuscript cited, should be made available if requested by the editors. The manuscript or substantial parts of it should not have been formally published before in any journal or in any other citable form. It is completely at the editor’s discretion for any exceptions only if the author is able to justify and have declared this upon submission. Authorship is a state of being an author, who makes the actual intellectual contributions for the completion of the research work and carries the responsibility and answerability for the published work. Substantial contributions to the conception, design and execution of the work, and / or the acquisition, analysis or interpretation of data. Drafting the article or revising it. In addition, each author should be able to identify which co-authors are responsible for specific parts of the work performed and all those who qualify should be listed. When a large team or collaboration center or association has conducted the work, the author list should include the individuals whose contributions meet the criteria defined above. The author is required to submit a contributory statement along with the manuscript submitted to NWJ. In this, the author should clearly state the contribution towards the work like participation in design and planning, actual execution of the experiment, result generation, analyses and reporting, preparation of figures/tables, writing and preparing the manuscript etc. All contributors who do not meet the criteria for authorship should be listed in ‘Acknowledgements’ section of the manuscript. They include names of people who have contributed technical help, assistance in scientific writing and preparing manuscript, contributed financially or material support, and institution/department head who has supported with access/permissions etc. It is the author’s responsibility to obtain consent from persons who have their names included in the acknowledgement section. Once a manuscript have been submitted, changes with respect to the authorships (example: additions, deletions, change in order of names or change in the contributions) must be approved by all the authors of the manuscript. If the changes are appropriate and acceptable, the editor will require a written confirmation from the corresponding author that all the authors have provided their consent for the change in authorship. The editor also has the right to contact any or all of the authors to confirm if they have consented for the change in authorship. A competing interest subsists when the authors’ interpretation and analysis of data or presentation of critical information that may be influenced by their personal or financial relationship with other individuals or organizations. NWJ has made it mandatory that all authors must declare all financial and non-financial “competing interests” with regard to their manuscript submitted and this declaration must be included at the end of the manuscript text. If the authors have no such “competing interests”, they should include the following statement in the manuscript: “The author(s) declare that they have no competing interests”. Upon publication of a manuscript, if NWJ detects any undeclared competing interests, then NWJ retains the right to reject/retract the manuscript or issue a formal correction, as appropriate. Editors and reviewers are also required to declare any competing interests and will be excluded from the peer review process if a competing interest exists. Receiving salary, reimbursement, funding, and consultancy fee from a company that holds or has patents relating to the content of the article submitted. Holding shares or board membership stocks in an establishment or company that may gain or lose financially from the publication of article, either present or in the future. Holding, or currently applying for patents related to subject matter / content of the manuscript submitted. Non-financial competing interests include (but are not limited to): professional (academic and intellectual) and personal (religious, political and ideological). Authors from industries / companies (pharmaceutical, medical, biotechnology, agricultural, oil and gas, manufacturing, engineering sectors, etc), or other commercial organizations should declare any competing interests on submission to ensure that publications are produced in a responsible and ethical manner. If, after reading the above mentioned guidelines, you are unsure whether you have a competing interest, please contact the Editor. NWJ is an open access, peer reviewed journal, which means that all articles are freely available without charge to all users immediately upon publication. Users are allowed to read, download, copy, distribute, print, search, or link to the full texts of the articles, or use them for any other lawful purpose, without asking prior permission from the publisher or the author. This is in accordance with the Budapest Open Access Initiative (BOAI) definition of open access. Open access (OA) is a recent and preferred advancement in the publication industry whereby peer reviewed research and manuscript contents are made freely available for public use over the Internet almost immediately after being accepted for publication. OA gives quick exposure of scholarly research to the scientific community where one can use it any number of times for free after citing the author. Thus, in OA journals author(s) are the sole owners of the copyright to the article. NWJ is committed to convey the authors a strong understanding of their rights and responsibilities. Our expert editorial policies helps authors to understand open licenses, and allows authors to easily comply with the open access requirements of their corresponding institution, government and funding body. NWJ implements the Creative Commons Attribution (CC BY) license to works we publish. This license allows users to copy, distribute and transmit an article, adapt the article as long as the author is attributed. The CC BY license permits commercial and non-commercial reuse. The author retains copyright of their work with a Creative Commons Attribution (CC-BY 4.0) license. Manuscripts authored or co-authored by one or more government employees / federal agencies like USA NIH / USA NSF / UK NHS / UK Wellcome Trust / Australia ARC / European Research Councils etc., must be submitted with the respective mandate signed agreements according to their Employee Procedures (if applicable) and are licensed under a Creative Commons Public Domain license (CC0), which allows unlimited distribution and reuse of the article for any legitimate purpose. Authors must have written permission from the copyright holder to use / publish any figures or images that are covered by copyright and cite the original source. Figures reproduced from those published under the Creative Commons Attribution International license (CC BY 4.0) may be reproduced, but only with correct attribution. To accelerate the impact of the potential research findings, NWJ adopts open access model to provide immediate, worldwide, barrier-free access to all articles published. 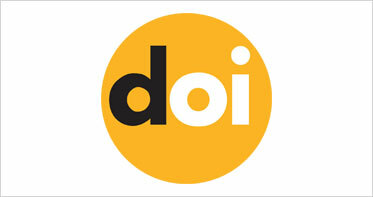 To make this happen and to offset operational and technical expenses—including those for online hosting, developing and maintenance of electronic tools, devices and systems for peer review management and journal production, archiving and securing inclusion in indexing databases—the article publication costs are paid from the author’s research budget, or by their funding institution or supporting organization in the form of Article processing charge (APC). However, NWJ believes that lack of funds should not be a barrier to open access publication and will consider discount or waiver to the APC on a case-by-case basis. NWJ ensures a rigorous, high-quality and unbiased peer review process for all manuscripts submitted to the journal. The decision of article acceptance is judged by a panel of expert reviewers and / or editors emphasizing whether the findings and / or conclusions are novel and make useful contributions to the field. NWJ operates a double-blind peer review process for all the articles submitted, where both the reviewer and the author remain anonymous. All submissions are reviewed by internal editorial team to ensure adherence to the journal editorial policies and are then assigned to an Editor for evaluation. The Editor decides whether reviews from appropriate independent experts / reviewers are needed to evaluate the manuscript. Two external reviewers evaluate majority of the submissions, but it is up to the handling Editor to determine the number of reviews required. Once the reviews have been received, the editor makes a decision to accept or reject a manuscript, or to request revisions from the author in response to the reviewers’ comments. If the decision is minor revision or major revision, authors will be given 21 days to resubmit the revised manuscript. Editorials written by the editor-in-chief, associate editors or other editorial board members do not undergo external peer review. However, original research articles/reviews authored by an editorial board member will go through the usual peer review process of the journal. NWJ is currently in negotiations with various indexing and abstracting service providers and the criteria for inclusion might vary from service to service. Editors and reviewers treat all manuscripts submitted to NWJ in confidence. posting the article on social networking sites like Facebook, Twitter, etc. The acceptance of any advertisements in NWJ is subject to editorial approval. It is our editorial policy that the journal website shall not appear to be dominated by advertising. The journal policy is to accept advertising for products that will be useful for its readers in their professional as well as personal lives, subject to editorial approval and advertising content should be approved by a relevant regulatory body before consideration by the journal editorial team. NWJ will accept advertisements that are “legal and relevant to journal scope and conform to current recommendations and guidelines”. USG is a self-supporting limited liability company and does not receive funding from any institution/society/government. Hence, the operation of the journal is solely financed by the article processing charges (APC) received from authors. The APC is collected to cover operational and technical expenses-including those for online hosting, developing and maintenance of electronic tools, devices and systems for peer review management and journal production, archiving and securing inclusion in indexing databases. However, USG believes that lack of funds should not be a barrier to open access publication and will consider discount or waiver to the APC on a case-by-case basis. In some cases, Editor-in-Chief may select outstanding manuscripts accepted for publication for press release. The corresponding author will be informed if their manuscript is being considered for press release. Upon acceptance by the author, the press release will be written and will be asked to approve the text. If an author’s institution, organization or funder wants to issue their own press release, authors should ensure that activities are coordinated with the NWJ Press Office. Authors must provide a data sharing statement when submitting a manuscript online. The statement should explain any unpublished data from the study are available, where, to whom and how these can be obtained. If the article is accepted for publication, the data availability statement will be published as part of the final article. It is the author’s responsibility to adhere to the guidelines in their fields for the collection and recording of their data. NWJ advises the authors to select credible digital repositories for depositing their data. It is mandatory that the authors deposit all the data and related metadata related to their manuscript in one such publicly available repository and provide the data set accession numbers and/or digital object identifiers in the data availability statement while submitting their manuscript. For manuscripts that contain only small data sets, the authors may upload the data as supplementary files while submitting their manuscript online. In certain cases where the data used in a manuscript is restricted under a patent or a trademark control and thus cannot be made public, then the author’s are required to provide an analysis of public data that validate the conclusions stated in the manuscript. If the author’s have used data from a third party (that is if they have not collected the data themselves), they must properly cite appropriately the source from where they have obtained the data. Any discrepancies in the above mentioned guidelines come to the notice post-acceptance or publishing of an article, NWJ reserves the right to make the required corrections, contact the author’s organization and / or funding agency; or retract the publication. For more information to authors on how to indicate about the source of data and readers who have difficulty in obtaining materials or accessing data, are encouraged to contact the journal editorial office. Statements and views mentioned in NWJ are those of the author(s) and are not necessarily those of the Journal or publisher. NWJ undertakes all efforts to make the content of their journals unique and accurate; however, NWJ does not warrant that the information be true, complete and are not responsible for any errors, omissions or misleading content. Similarly, NWJ does not undertake any liability for any injury and/or damage to persons or property as a matter of product liability, negligence, or otherwise, or from any use of methods, techniques, products, instructions, or ideas contained in any of the published articles. NWJ does not take any responsibilities or warranties with respect to any investigational reports, observations, discussions, and recommendations as to medical procedures, diagnostic techniques, treatment procedures, medication type, and drug dosages and they are the sole responsibility of the authors. Consumers should consult with their own health professionals about their medical condition before making any treatment procedures. Authors have the right to appeal in case of rejection of their manuscript and should be based on the scientific content and its validity for publishing in NWJ. All appeals must be submitted within 10 days and should be addressed to the journal’s Editor-in-chief. The Editor-in-chief’s decision on the appeal is final. For appeals and other complaints that cannot be resolved, the individuals (authors, reviewers, users) should contact the publisher. For any concerns and / or complaints, readers or authors should contact the editorial office. Articles published in NWJ remain exact and unaltered. However, in rare cases published articles can be modified, corrected, replaced, retracted or removed. The NWJ will follow the following general principle to alter a published article. Article withdrawal can only be requested before the article is published online (in press). The reason for withdrawal could include (but not limited to) duplicate submission, incorrect claim of authorship, error in data, plagiarism. Article correction/replacement will be allowed only when error (s) or inaccuracy in reported data is detected, a change in authorship and/or affiliation is needed, or major changes in the manuscript (where the option of Letter to Editor is not applicable) are discovered after the article is published online. If changes are substantial additional processing charge will be levied and the original version of the article will be archived. Article retraction as advised by an author/editor/publisher is an occasional event where the results/interpretations/conclusions of a published article are found to be misleading, proved to contain falsified data, is defamatory, or infringes other professional ethical principles (such as plagiarism, duplicate submissions, incorrect authorship claims, and unethical methods or research). A published article will be removed only in very rare case and generally only on legal grounds affecting the publisher, editor-in-chief or author (s). In all the above mentioned conditions, the Editor-in-Chief will hold the decision authority. Once a decision is made, it will be made available along with an effective date and reason (correction/replacement/retraction/removal) as a note or a new screen in the online version of the manuscript for all the readers to be aware of. In almost all such cases (with rare exception), the original article will be archived as a history of the article (except when an article is removed). All authors must provide written consent for any change / modification and submit the request to the Editor-in-Chief. Article processing charges will not be refunded in case of retraction/removal. NWJ subscribed to the principles of COPE, a forum for editors and publishers of peer-reviewed journals to discuss all aspects of publication ethics. The journal will abide by COPE code of conduct and best practice guidelines. All allegations of research or publication misconduct are taken seriously. We will vigorously investigate allegations and reserve the right to contact authors’ institutions, funders or regulatory bodies if needed. The EIC of the journal will always be the first point of contact, and the EIC will seek clarification from all affected parties, in accordance with the COPE guidelines. If the allegation is made against the Editor or a reviewer, we suggest to contact publisher for further investigation. If the journal is approached by a third party with an allegation of plagiarism, the EIC will seek a response from the original author(s) or copyright holder(s) before a recommendation is made. The Editor will adhere to the COPE flowcharts, and will not be influenced by other parties. Any decisions made will be formed in an unbiased and objective manner. In cases of suspected or alleged misconduct, we will follow the COPE. If we find conclusive evidence of misconduct we will take steps to correct the scientific record, which may include issuing a correction or retraction. At all times, Editors will remain neutral in tone, acting with integrity, and educating where possible. For any concerns about potential misconduct, please email the journal’s EIC, associate editor or publisher as appropriate. Concerned readers should not rely solely on posting their comments on blogs, social media or other third party websites to make us aware of concerns, but should ensure to contact the journal directly. 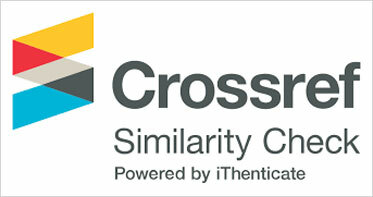 NWJ uses Crossref Similarity Check (powered by iThenticate) to screen submitted manuscripts for originality. We will do a follow-up investigation if the software raises any concerns. If plagiarism is detected during the peer review process, the manuscript will be rejected. If plagiarism is detected after publication, we will issue a correction or retract the paper, as appropriate. If, after assessing the available evidence, the editor has concerns about a publication, a response will be sought from the authors. If the response is unsatisfactory, the editors will contact the author’s head of department/ employer and can choose to contact the author’s funding organization about plagiarism detected either before or after publication. In cases of dual publication, an announcement will be made in both journals explaining the situation, including ‘retractions’ if work is proven to be fraudulent. NanoWorld Journal will only consider article submissions which have not been published previously. Conference presentations, abstracts or posting unrefereed manuscripts on preprint servers such as arXiv and bioRxiv are not considered as prior publication and are therefore permitted. Submissions containing material that has previously formed part of a PhD thesis which has been published according to the requirements of the institution awarding the qualification can also be considered. Minor overlap or a small amount of redundancy may be unavoidable. This must always be reported transparently and be properly attributed and compliant with copyright requirements. Duplication of a published article or major overlap/redundancy with another published article is not acceptable. When this is identified we will follow appropriate COPE guidelines and consider publishing a notice of redundant publication. EIC will take all allegations and suspicions of misconduct seriously. If EIC is presented with convincing evidence of serious misconduct, he will consider passing this on to the employers, notifying the author(s).